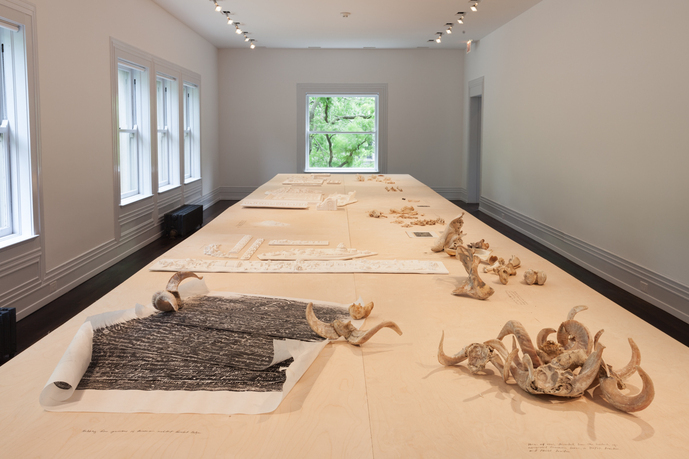 The Graham Foundation is pleased to present The Flesh Is Yours, The Bones Are Ours, an exhibition by Chicago based artist Michael Rakowitz. 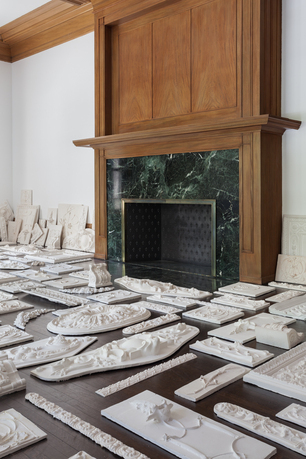 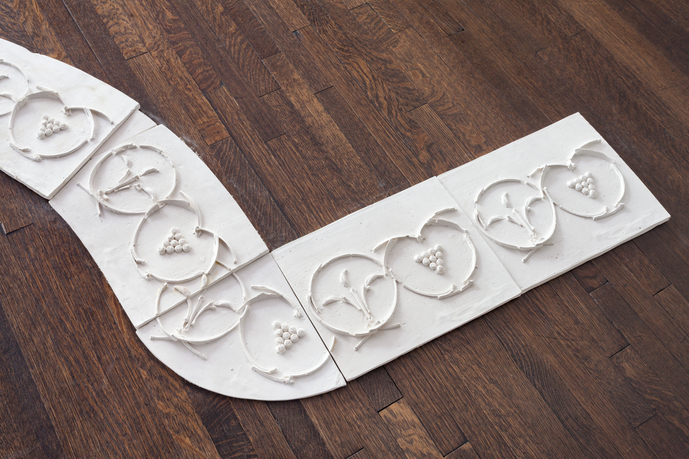 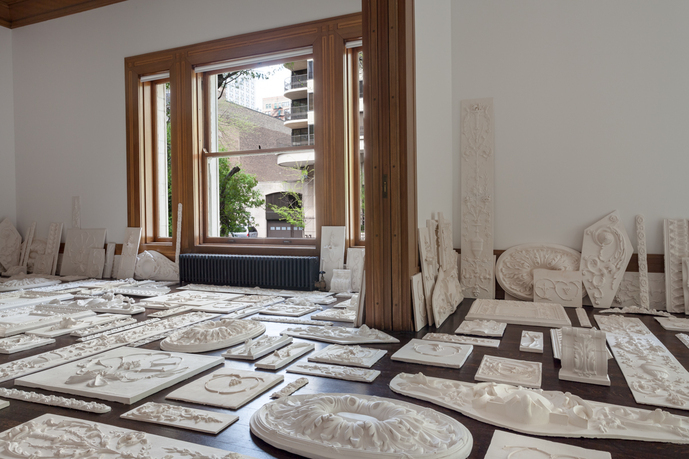 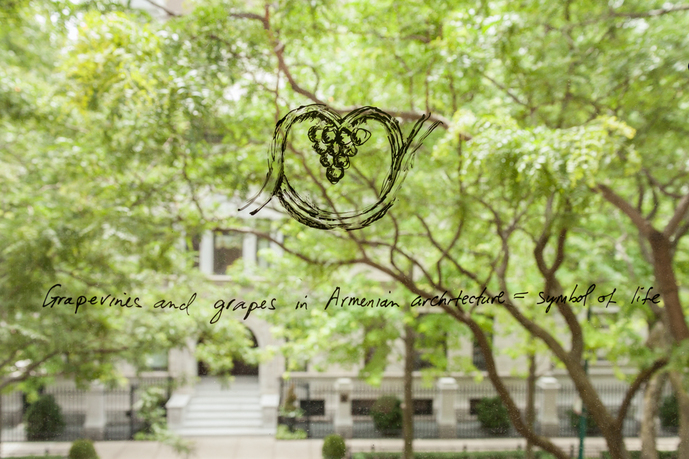 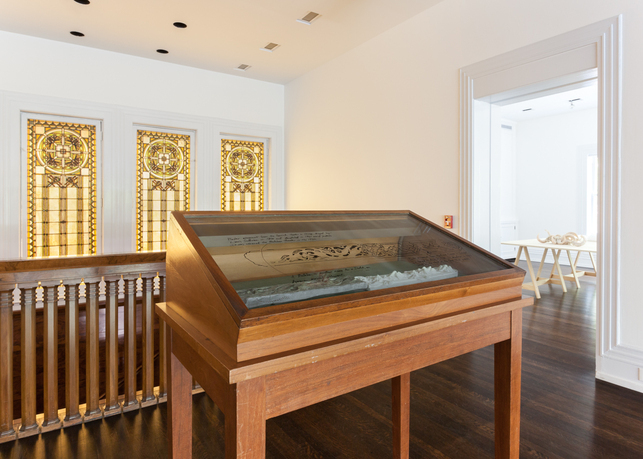 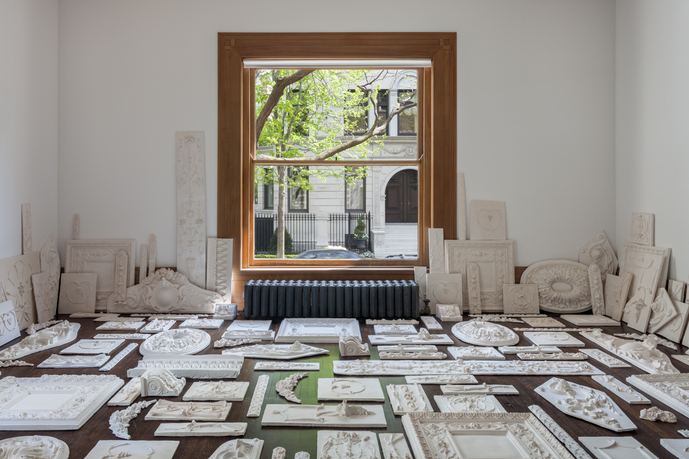 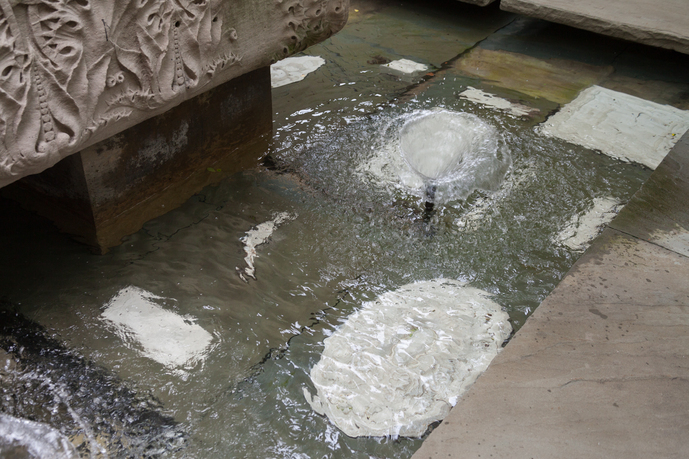 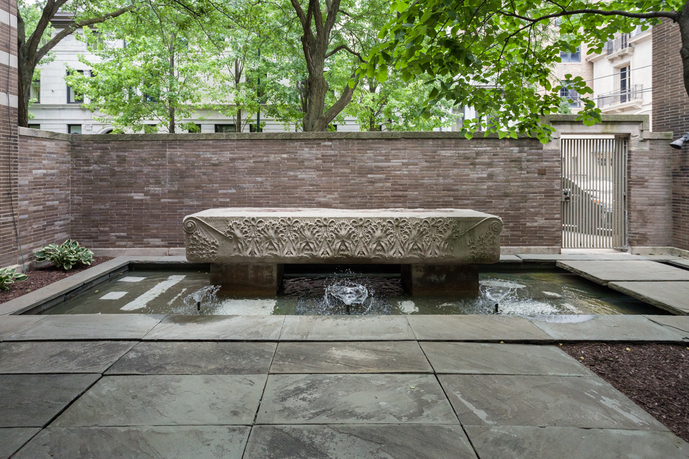 Concurrently displayed at the Graham Foundation’s historic Madlener House and Rhona Hoffman Gallery, Rakowitz’s installation deploys fin de siècle Istanbul’s architectural remains as a counternarrative to the city’s rich multiethnic historical development, at the same time excavating psychic and material traces of the Armenian craftspeople responsible for much of the city’s art nouveau façades. 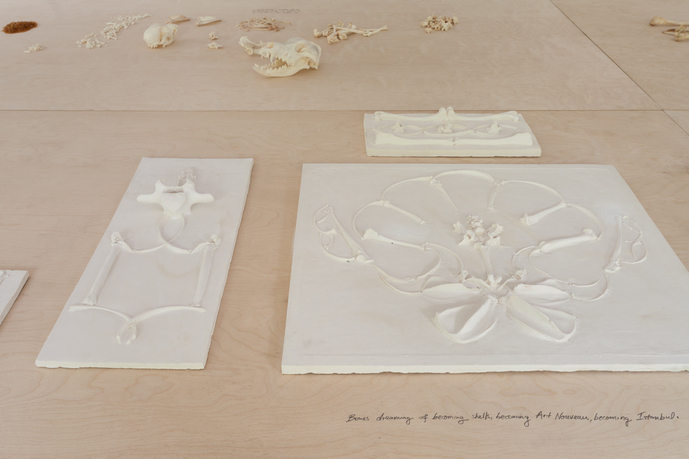 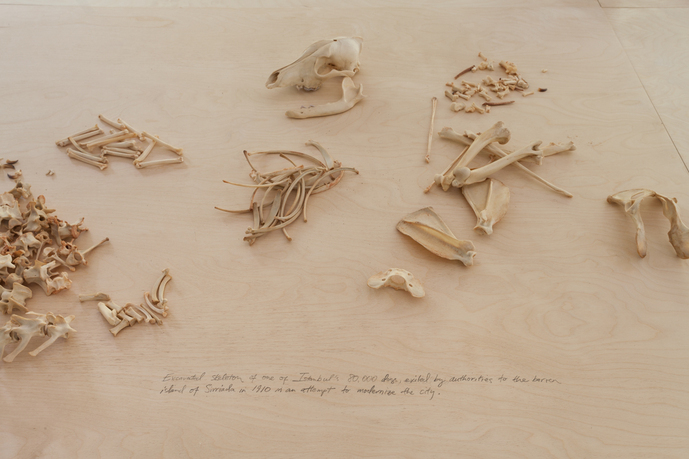 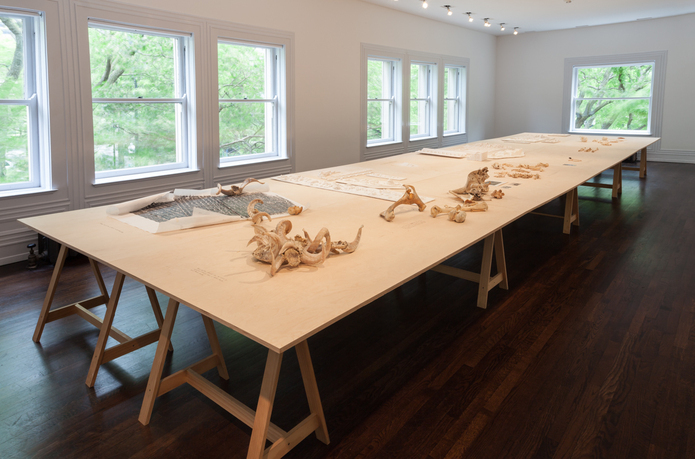 The exhibition’s title “The Flesh Is Yours, The Bones Are Ours” refers to a customary Turkish saying used when an apprentice was given over to a master—meant to convey that the teacher was granted influence over their pupil. 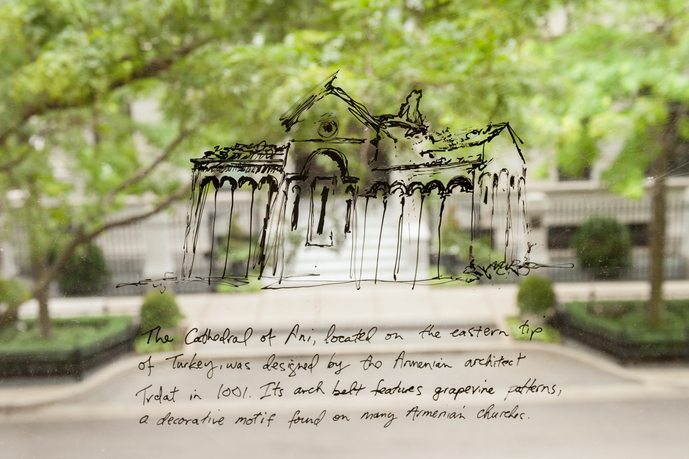 Such was the case with Kemal Cimbiz, a Turk who joined the atelier of Garabet Cezayirliyan, a member of the Armenian artisanal community. 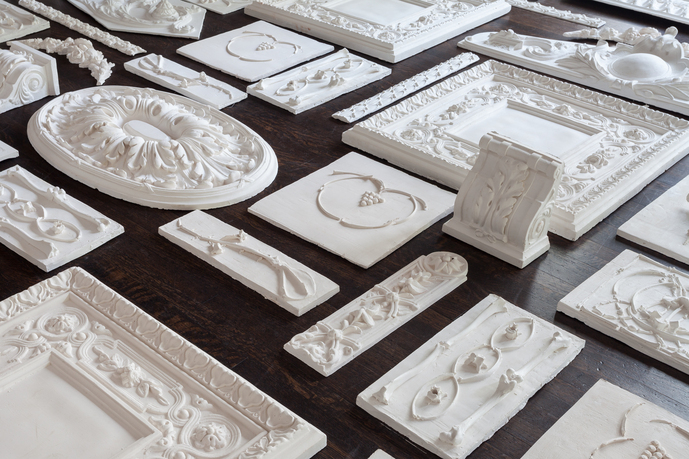 Under Cezayirliyan’s tutelage, Cimbiz began to create and cast molds in the tradition marked by late-nineteenth-century Istanbul’s once rapid modernization. 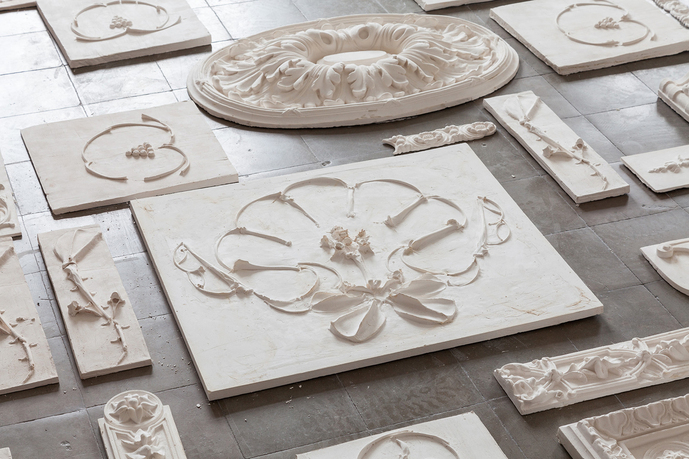 To this day, the stone and plaster embellishments on buildings throughout Istanbul bear not only this storied legacy of craft, but also indelible impressions of the hands that built them, a haunting reminder of the traumatic histories that befell the city’s Armenian population. 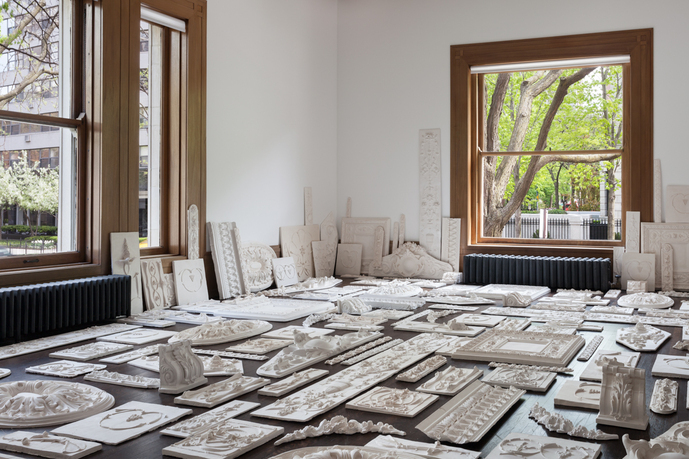 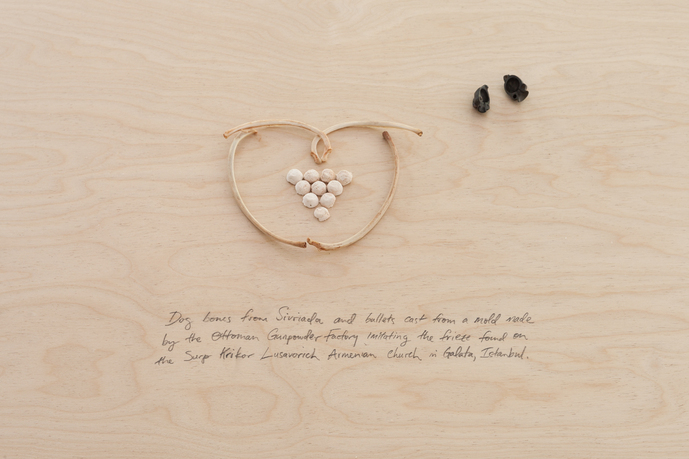 As with many of Rakowitz’s projects, an engagement with questions of craft soon complicates our understanding of the historical forces acting against transmissions of skill and expertise, hinting at the maintenance of tradition as a form of resistance to cultural erasure. 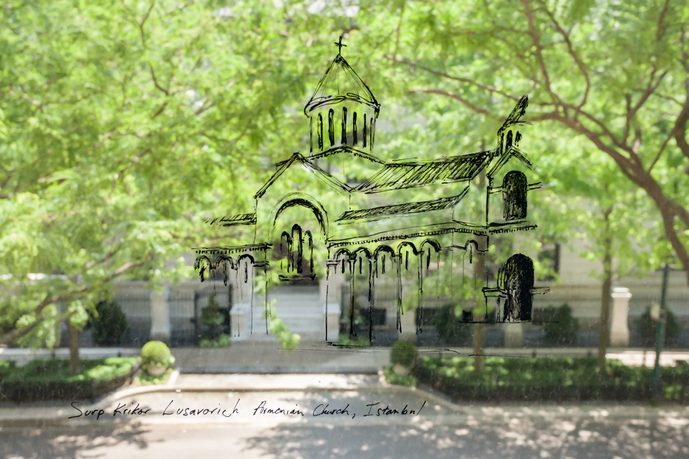 Facilitated by the fluid dissemination of knowledge and international inspiration once galvanized by Louis Sullivan’s quest for a new architectural language, Rakowitz claims a modernist lineage of ornamentation to evoke parallel narratives of activist preservation in both Istanbul and Chicago. 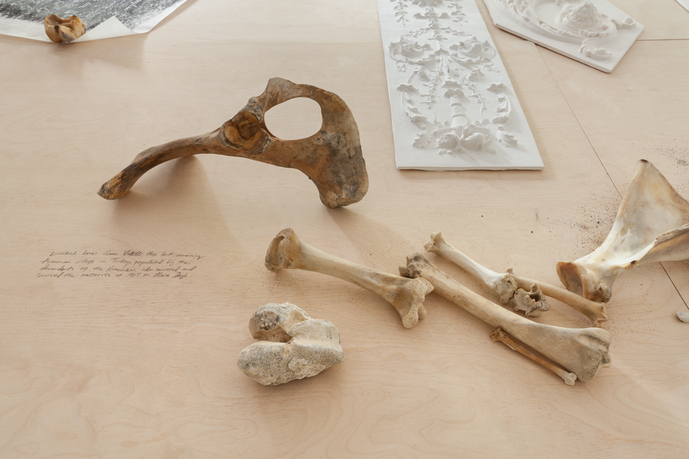 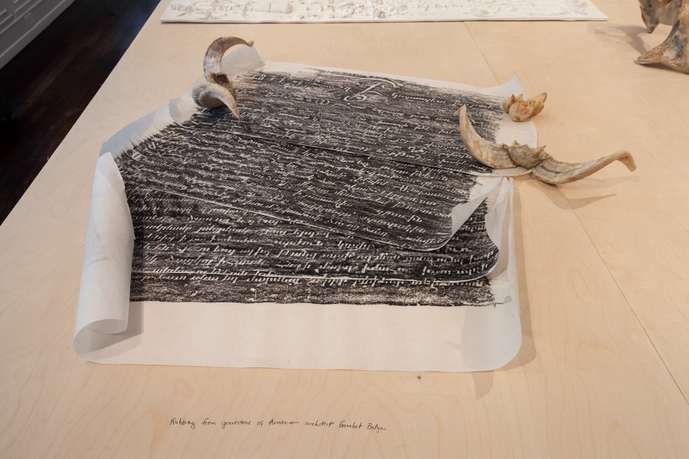 The Flesh Is Yours, The Bones Are Ours was originally developed for the 14th Istanbul Biennial, SALTWATER: A Theory of Thought Forms, curated by Carolyn Christov-Bakargiev in 2015, and funded in part by the Graham Foundation.